NRL Victoria are pleased to announce the 2019 NRL Victoria U18's & U15's Schoolboys State Team Trial Information. The NRL Victoria U18's Schoolboys Open Trials will be held on Saturday 23rd March, 2019 at Casey Fields, Cranbourne East. The NRL Victoria U15's Schoolboys Open Trials will be held on Sunday 24th March, 2019 at Haines Drive Reserve, Wyndham Vale. For the U15's Schoolboys, selected players will be invited back on Sunday 31st March for a second trial. Venues and Times will be posted onto nrlvic.com.au and the NRL Victoria Facebook page. For the U18's Schoolboys, the Train on Squad will be announced following the Open Trial. 1. A player can trial for the U15's Schoolboys if they are turning 14 (2005) or 15 (2004) in 2019. A player can trial for the U18's Schoolboys if they are turning 17 (2002) or 18 (2001) in 2019. 2. 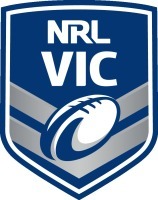 A player must register and play matches for a NRL Victoria club in 2019. 3. The player must be enrolled and attend a Victorian Secondary School. The levy to play in the U18's Schoolboys team if selected for the U18's CAS Championships in Darwin, NT (Thursday 6th - Sunday 9th June) will be $1270. The levy to play in the U15's Schoolboys team if selected for the U15's National Championships in Redcliffe, QLD (Saturday 29th June - Friday 5th July) will be approximately $1400. Please note, the U15's Schoolboys team will also compete at the Country Rugby League Championships in September and additional levies will be payable for these Championships. All players must submit a registration form by 5pm on Thursday 21st March. No registrations will be accepted after this time including on the day. Any player who is currently injured or is unable to make the trial but still wants to be considered for selection must email Ryan Walker, NRL Victoria Pathways & Coaching Manager - rwalker@nrl.com.au by 5:00pm on Thursday 21st March.